This vintage JT-6 bridge(s) have been completely taken down. We make sure to inspect and start this JT-6 re-build with a vintage tremolo base plate with excellent knife edge blades. We then rebuild the entire bridge and test every piece to confirm that there are absolutely NO issues with any screw, adjustment or operation. This item was created to be a direct drop-in replacement bridge. Made from a vintage Jackson JT-6 Tremolo. We took this bridge that is so common on many Jackson and Charvel guitars and applied some simple engineering. 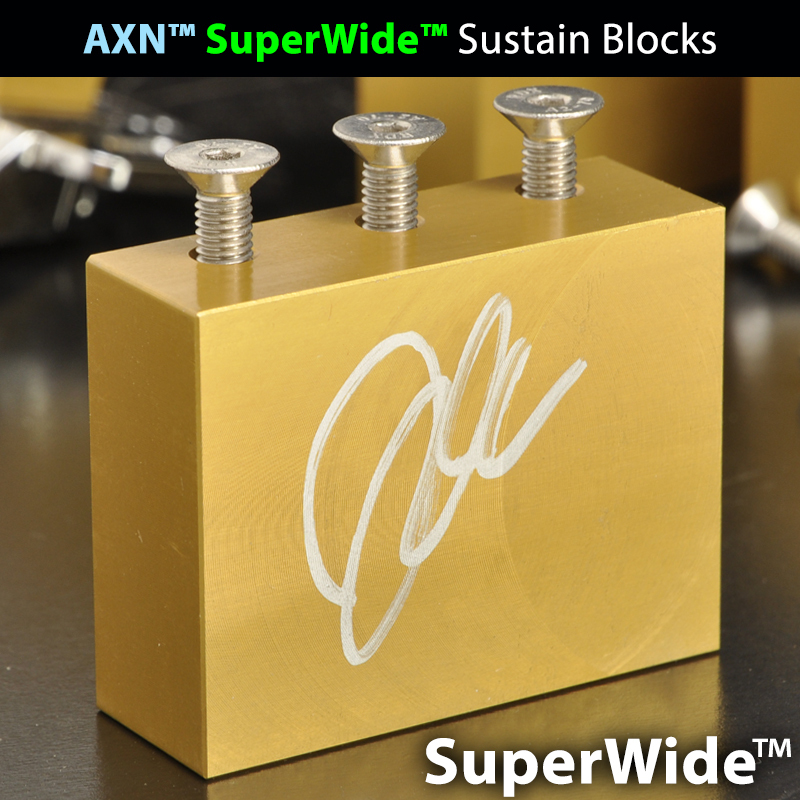 We designed a sustain block with a local aerospace CNC machine shop and created an exceptional block machined from musical instrument grade bell brass. We included a new tremolo arm that is otherwise impossible to find. 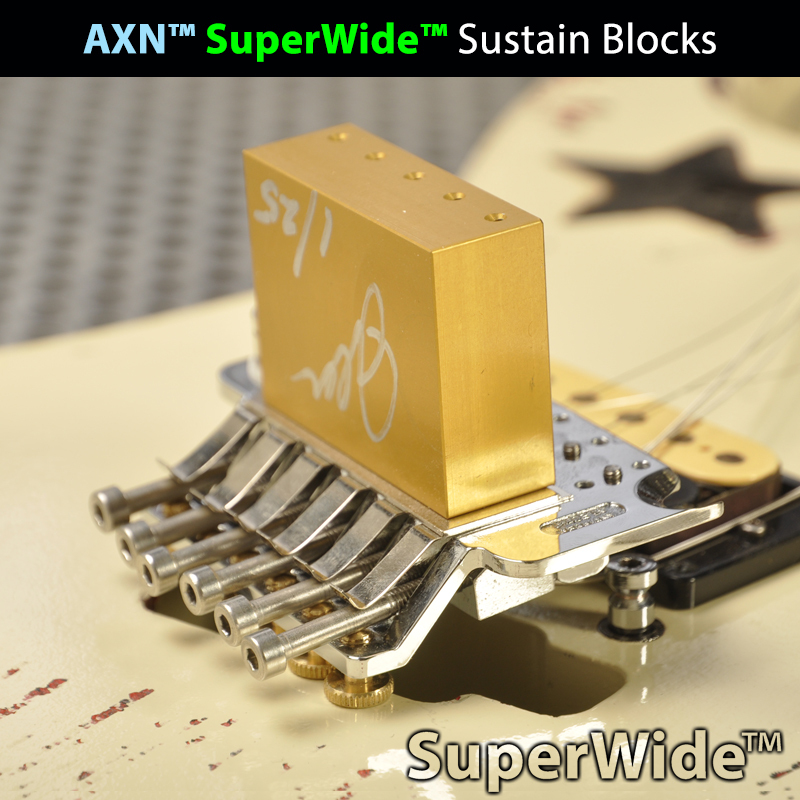 We started by examining a number of vintage Jackson USA Ontario era guitars as well as Japanese Charvel and Jackson guitars and engineered this sustain block to fit the tremolo cavities. 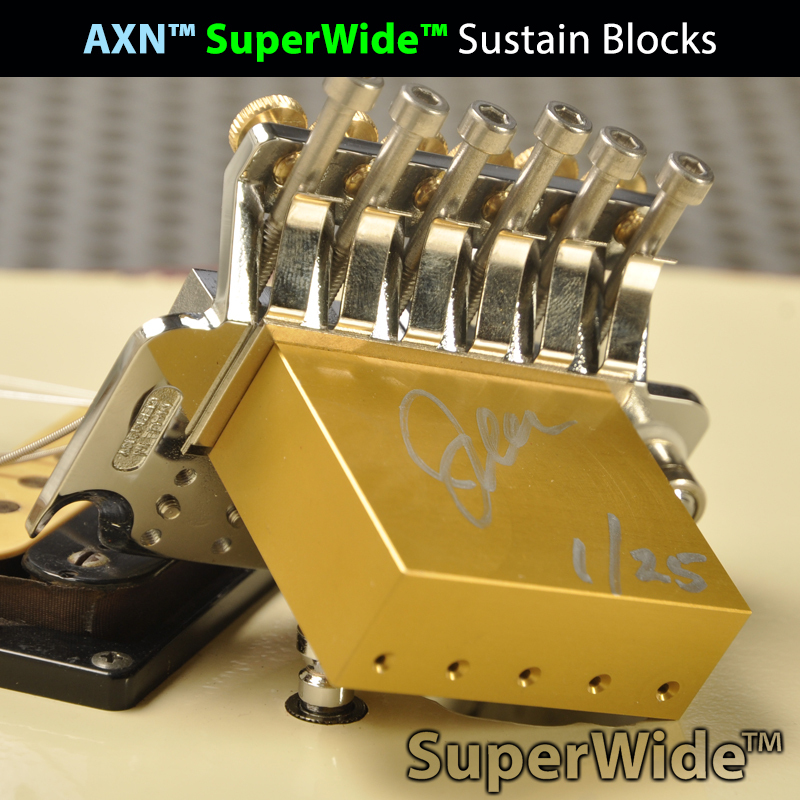 In doing so we added considerable tone while optimizing the change to upward or downward tremolo movement. 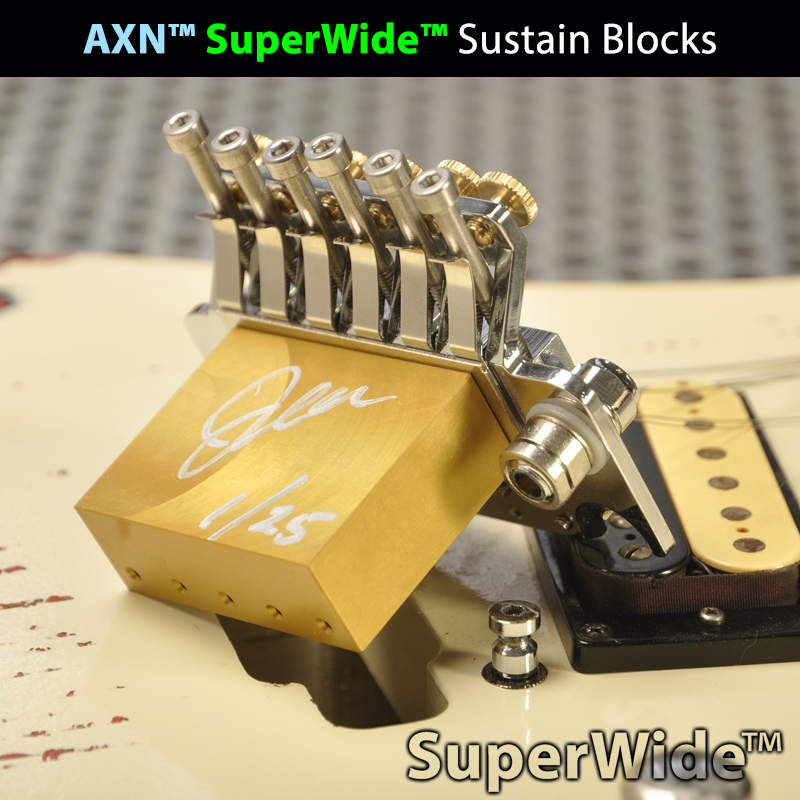 This performance modification was the perfect fix to enhance the warm, sweet and balanced tone meant to come from a Jackson Charvel guitar. We also used our contacts in the industry to procure the perfect tremolo arm made to fit into the stock tremolo bar slot of the JT-6 bridge. We confirmed that all were a perfect fit.